Every year, between Halloween and Thanksgiving, we write down what we are thankful for. We usually post our notes on a Thankful tree. This year we will try something different—we will hide our notes and try to guess who wrote them. 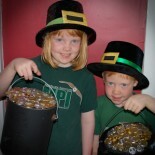 Have your kids write what they are thankful for on little slips of paper. 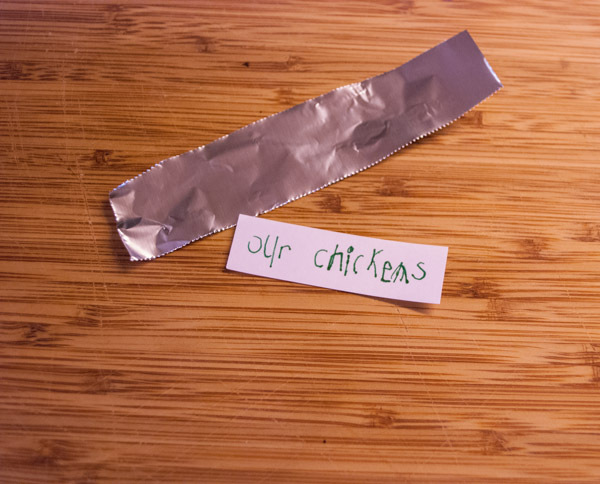 Each note will be folded up wrapped in a small square of tinfoil. 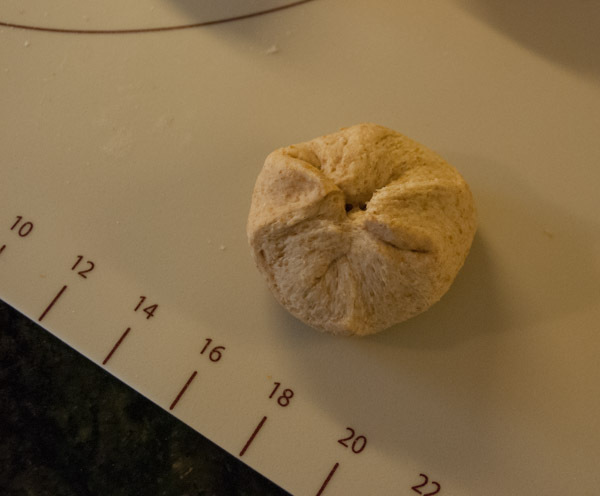 Start with one quarter of the dough. Divide it again into fourths. 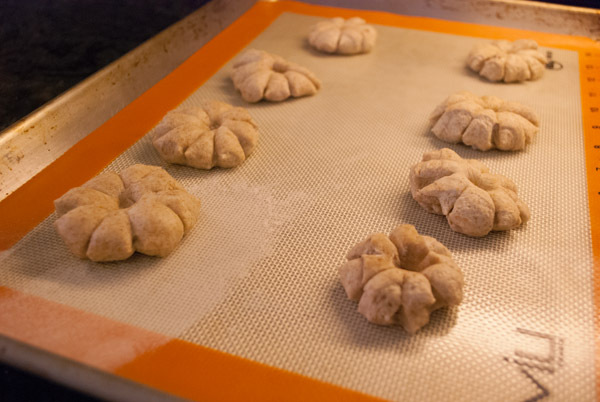 Do so with the remaining dough. You should have 16 pieces. 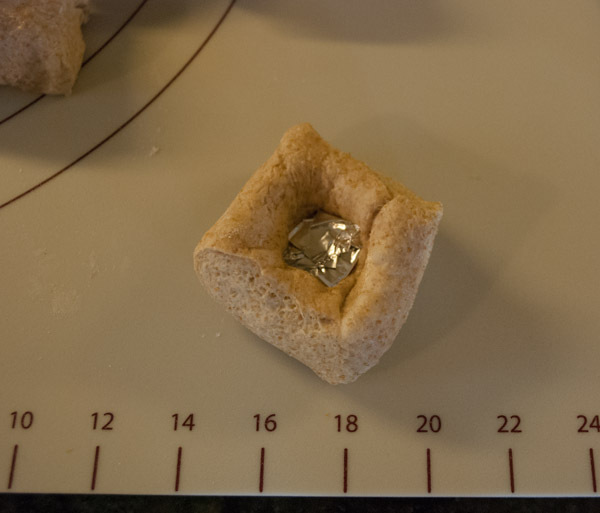 Take one portion, flatten it a bit, and place a note wrapped in foil into the center. 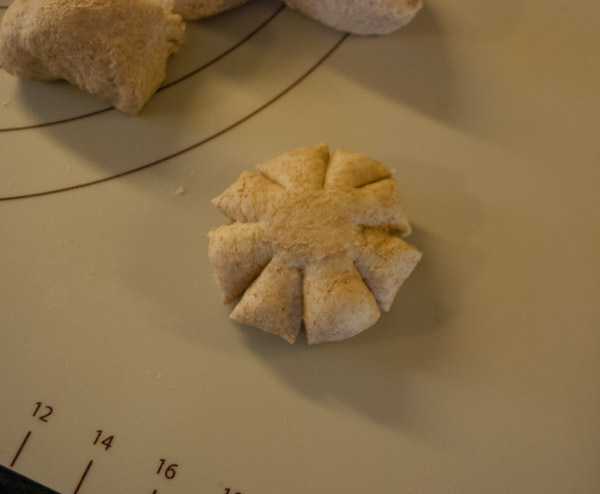 Wrap the dough around the note, sealing it on all sides. Turn it over and make eight slits. Poke a hold in the center. Brush with a beaten egg or some honey diluted with water. 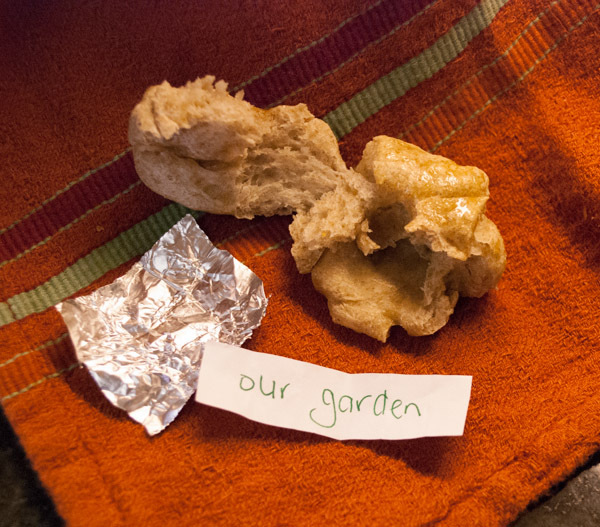 When the dinner guests prepare to butter their rolls, have them read their gratitude note aloud and see if they can guess who wrote it. 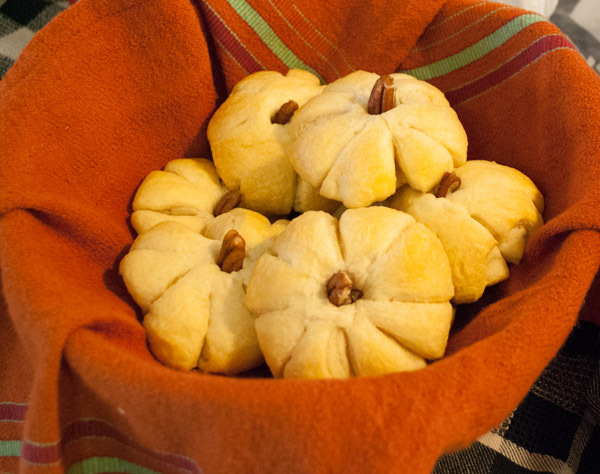 Tip: Here’s an Easy Peasy Lemon Squeezy version—Use canned crescent rolls to make an instant gratitude roll. 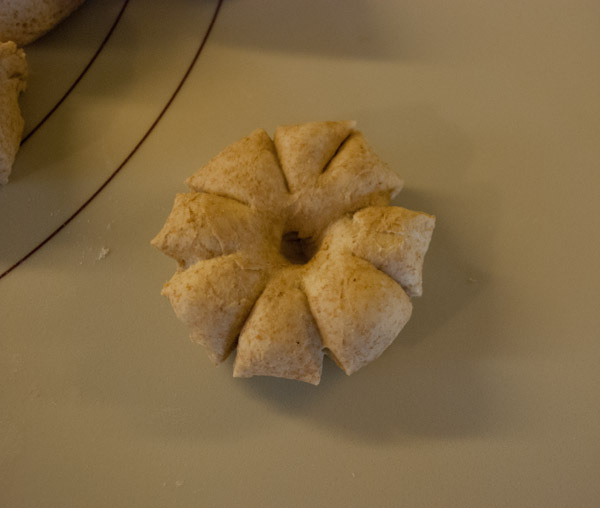 You can skip the pumpkin shaping part and just slip your notes (in foil) in the dough as you wrap up the roll. 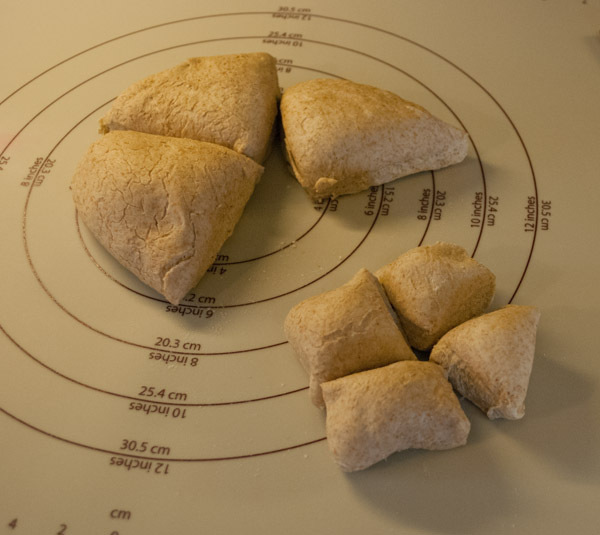 Or use one triangle of dough to make a ball, insert the message, and shape as directed above. Thanks to beyondkimchee.com for the idea. 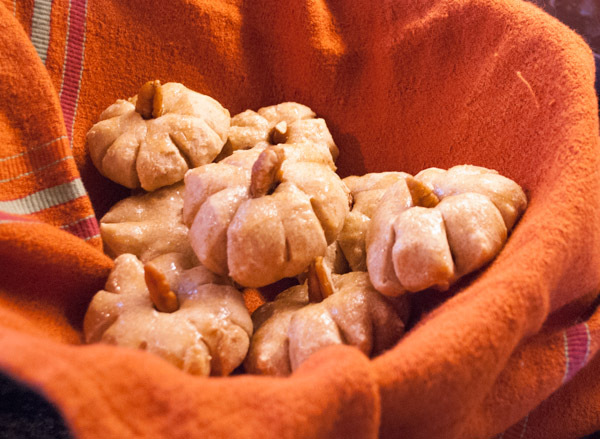 This entry was posted on October 5, 2015 by mdaucello in Recipes, Thanksgiving.